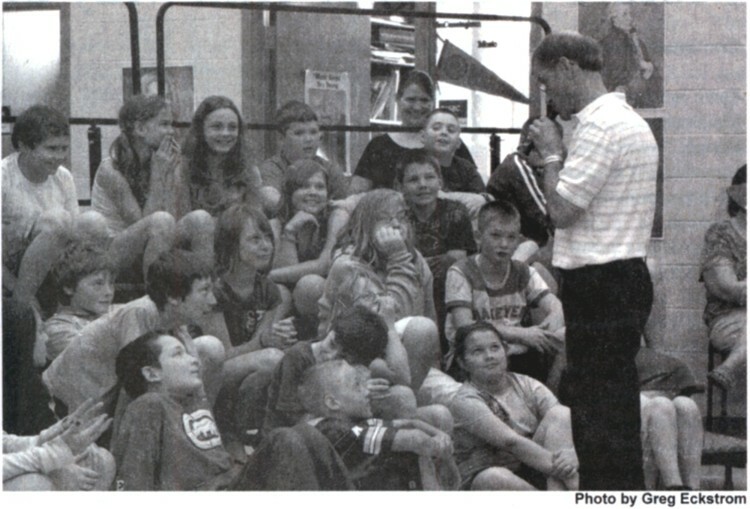 Boone Middle School students have been learning about recorders, but the ones they’re used to aren't five feet long and wooden. 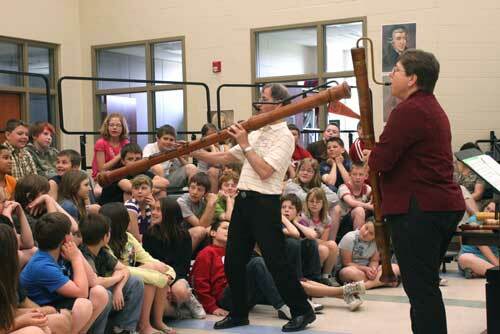 Alan Spohnheimer, center, and Dee Dreeszen, right, played a variety of antique instruments for Boone Middle School students on Tuesday, representing the group Musica Antiqua. On Tuesday, the students learned about some of the instruments that pre-dated Bach and Beethoven from Dee Dreeszen and Alan Spohnheimer – two members of the Iowa State University group Musica Antiqua. “Musica Antiqua…that word antique kind of means old, and it’s not meant to describe the players, it’s meant to describe the music we play,” Spohnheimer said. “The music we play is from the Middle Ages and the Renaissance.” Spohnheimer is also a musician with the Iowa State University Alumni Band, where he plays the baritone horn. 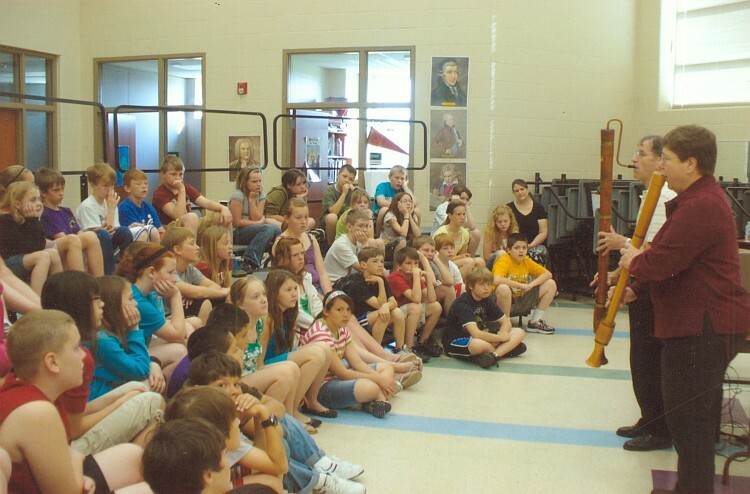 The two musicians introduced the students to several different types of instruments, including the crumhorn, rauschpfeife, gemshorn, and the recorder.